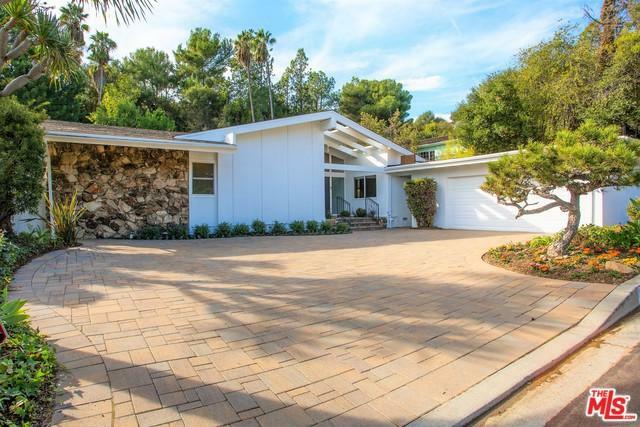 Amazing Custom Mid-Century built for current owner, located on large flat lot approximately 14,932 Sq ft. 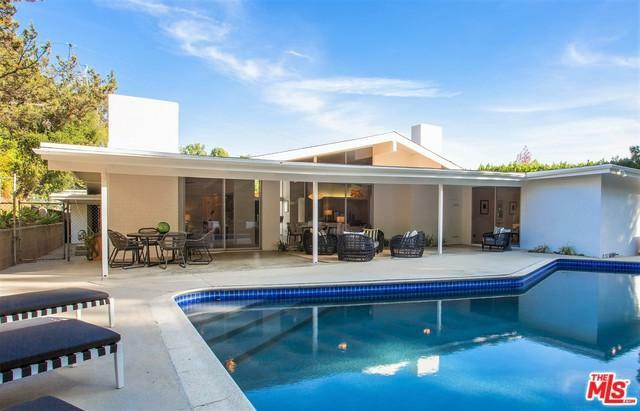 Double door entry leads to a spacious light filled LR w/ high vaulted ceilings, FP & wet bar, Dining Area & Family rm w/ FP, all which open on to a comfortable covered patio overlooking sparkling swimmers pool, large grassy yard that is private w/ lovely mature trees. Updated kitchen has a stainless gourmet cooks stove & a large brkfst area. Excellent floorplan for entertaining & families. Master bdrm enjoys direct access to patio & pool area, has an enormous dbl walk-in closet & remodeled bath w/ dbl sinks, separate stall shower & tub. The other 3 Bdrms & 2 Baths complete this fabulous home. Add'l features include: Wood floors, central heat/air, detached 2-car garage w/ ample parking on paver stone drive & great storage throughout. 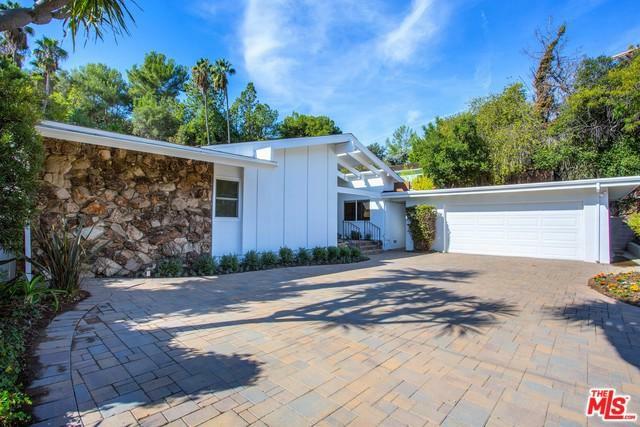 Located on North Kenter Canyon w/ great access to pastoral Crestwood Hills Park & in the coveted Kenter School District. Listing provided courtesy of James Hancock of Coldwell Banker Residential Brokerage.